On An Overgrown Path: Does the Rite of Spring have its roots in Sufism? Does the Rite of Spring have its roots in Sufism? That painting on the cover of Harry Oldmeadow's Journeys East: 20th Century Western Encounters with Eastern Religious Traditions is by Nicholas Roerich (1874-1947). Russian aristocrat, Theosophist, and artist Roerich is well-known as the designer of the controversial 1913 premiere of Igor Stravinsky's Rite of Spring, but his wider role in the gestation of the Rite is less clear. In his monumental life of Stravinsky biographer Stephen Walsh describes how "early collaborators like Benois and Roerich found to their surprise that their part in the creative process had been conveniently forgotten or trivialized" in the composer's self-serving Chroniques de ma vie. While elsewhere pianist Süher Pekinel tells how "before beginning to compose Le Sacre du Printemps, Stravinsky was apparently interested in the rituals of pagan tribes and contacted Roerich to ask for detailed information about them". Süher Pekinel, who was born in Istanbul, recorded the four hand reduction of the Rite with her twin sister Güher for Deutsche Grammophon in 1980. In a well-researched and credible article titled 'Thoughts on Stravinsky's The Rite of Spring' Süher Pekinel suggests that the cultural influences on the Rite stretch far beyond its sub-title of ""Pictures of pagan Russia in two parts". Pekinel suggests that Stravinsky's music is influenced by Central Asian Shamanism, elements of which are found not only in Tibetan Buddhism and Hinduism - traditions which Roerich was immersed in - but also in the Sufism of her native Turkey. To illustrate this Pekinel has posted an excerpt from her recording on YouTube to illustrate how the trance inducing time signature changes in the Rite mirror those found in the sema (worship ceremonies) of the Cerrahîlik Sufi brotherhood. All these strikingly common features show me clearly how much music fulfils a function of acting as a deep mirror uniting different cultures. I hope music lovers who read my foregoing comments and analysis would listen to the work from a brand new perspective closer to what I believe to be Stravinsky's global understanding. That reflection on uniting different cultures takes this overgrown path into even more contentious areas. Nicholas Roerich's extensive travels in India and the Himalayas led him to support the controversial theories of Nicolas Notovitch (1858-?). 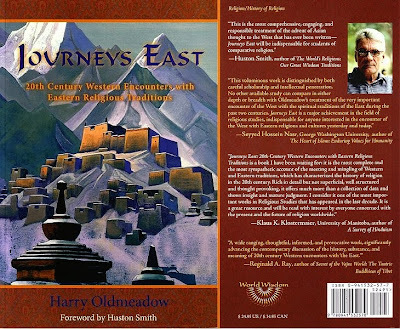 Russian traveller and journalist Notovitch claimed to have visited the Hemis Buddhist monastery in Ladakh on the borders of India and Tibet in the 1880s. Notovitch reported that at the monastery a the chief lhama translated the Life of Issa, an ancient document written in Pali that fills in the twelve year gap (from ages 18 to 30) in the story of Jesus in the New Testament. Isa is the name given to Jesus in the Qur'an and in Sanskrit īśa means 'the Lord', and Notovitch reported that the Life of Issa tells how Jesus aged 13 travelled with a caravan of merchants to India where he received training in Eastern spiritual traditions. Our journey to India, following the trail of those who saw and translated the manuscript several times, gives a very convincing case that the manuscript [of Life of Issa] does exist, and that it dovetails neatly with a long list of other kinds of evidence that put Jesus in India during that period of his life. If true, that journey of Jesus to the East was conveniently omitted from the New Testament. Does Stravinsky's Rite of Spring have its roots in Turkish-Islamic Sufism? Did Jesus receive teachings in India and the Himalayas? Probably the best answer to those questions is found in this quote from Nicholas Roerich's Altai-Himalaya: "In every spark of folklore there is a drop of the great truth adorned and distorted. * A number of sources were used for this post. I would particularly like to credit Ladakh: Land of Magical Monasteries published by Pilgrims Publishing, Varanasi. In a few months, insha'Allah, I will be travelling to that land of monasteries where the manuscript of the Life of Issa may, or may not, exist, and, coincidentally, I will be staying at Thiksy near Hemis monastery. ** Also on Facebook and Twitter. Any copyrighted material on these pages is included as "fair use", for the purpose of study, review or critical analysis only, and will be removed at the request of copyright owner(s). Do you plan to attend the Dalai Lama's Kalachakra empowerment in July at Ley in Ladakh? Fascinating, as always! Pli, somewhat related to your point, I think the Ahmadis also believe that Christ was not crucified and went to Kashmir..and I saw a BBC programme by Mark Tully that mentioned the belief that he was buried there. And, of course, there's the popular belief that Kashmiris are related to a 'lost tribe' of Israel. Michael - yes. I am travelling with my wife and our trip is built around the Kalachakra empowerment by the Dalai Lama in Ladakh which we will be attending.